Dunkirk is a 2017 war film scripted, produced and directed by the Christopher Nolan about the evacuation of British troops from Dunkirk at the start of World War II. The film has an all-star cast, that includes Harry Styles, Branagh, Cillian Murphy, Mark Rylance and Tom Hardy. The movie is an international co-production between the US, UK and France. Nolan, regarded as one of the finest directors of his generation, wrote the script for the movie from three angles, land, sea and air, in order to present a comprehensive overview of the events at Dunkirk. The film was primarily shot on location in Dunkirk, France. Nolan’s motion picture has been a critical and box-office success of the summer of 2017. The film is based on the Battle of Dunkirk and Operation Dynamo in May 1940. Operation Dynamo was the all out effort to evacuate the British Expeditionary Force from France. Hitler’s army had launched its Blitzkrieg across western Europe and had conquered the Low Countries and France. The German army and especially its Panzer tanks had proven too strong for the allies. They have managed to drive a large force of British and French troops into an area around the port of Dunkirk. The British and the French, numbering over 300,000 were surrounded and under constant aerial bombardment. However, the British Royal Navy with the assistance of many merchant navy and civilian craft evacuated most of the Anglo-French army, in a plan codenamed Operation Dynamo. The British hailed this as a major success and Churchill described it as the ‘miracle of Dunkirk.’ It was widely believed that if the British has not been able to evacuate their forces from Dunkirk that the country would have been defenseless in the face of Germany and could have lost the war. The evacuation of Dunkirk was a major boost for British morale at a time when they had failed to effectively fight the Germans and their allies on their own. It is widely believed that Hitler did not order a final and all-out attack on Dunkirk because he was overconfident. He ordered his Panzers to halt their advance. He probably did not think that the British could evacuate their forces from Dunkirk. There has been some controversy regarding the accuracy of the movie. This article will discuss how historically accurate is Christopher Nolan’s movie. The movie begins when the British were surrounded in an enclave around the port of Dunkirk. It shows them under constant aerial attack from the Luftwaffe and losing many men to the German air force. The movie does not accurately show the reality of the Luftwaffe attacks on the British units assembled at Dunkirk. 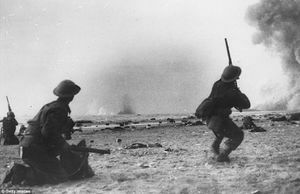 In the film, many of the attacks are carried out by Meschershmidt ME fighters, who are shown strafing the beaches at Dunkirk. This is true but the movie does not show that many Stukas’ were also involved in the German air raids and these dive-bombers wreaked havoc on the British units in May 1940. This is a glaring omission. Moreover, the movie fails to show that while the Luftwaffe was very effective against troops and vehicles they were very ineffective against the British ships. In the movie, the Luftwaffe are showing as sinking many Royal Navy and other vessels. This was not the case as the German air force was not able to sink many of British ships and this was the primary reason Operation Dynamo succeeded. The movie also did show the role of the British Spitfire in the evacuation. As shown in the movie, Spitfires provided much needed air cover to the British and the other troops on the beaches. Churchill had previously held the Spitfires back from the action in France. He knew that the French were defeated and that after Hitler had conquered Paris that he would turn his sights on Britain. The Spitfire was needed to protect the United Kingdom against the onslaught of the Luftwaffe. However, given the situation at Dunkirk, Churchill ordered the RAF to the area to offer the British forces some protection. These airplanes played a crucial role in the successful evacuation of Dunkirk. In the movie, the pivotal role of the Spitfire is shown very accurately. In one scene, the troops on the beach are showing clapping and cheering as the see one of the planes in the sky and this actually happened. In total, the RAF flew some 3500 sorties over Dunkirk and they lost 150 planes. However, there were some who believed that the RAF could have done more. There was some animosity at the time between the soldiers on the ground and the RAF. The movie does not show this animosity very accurately. In one scene, a pilot played by Jack Lowden is rescued from his downed plane by a boat, and is greeted warmly. However, at least one occasion, RAF pilots had to fight their way onto rescue boats, with more than a few of those on board shouting to let them drown. 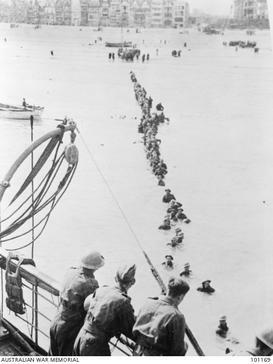 Operation Dynamo sought to get as many troops off the beaches and back to England. In 1940, the British Royal Navy and merchant fleet were the biggest in the world. In the movie, the German navy is not shown. The German battle fleet would not have stood a chance against the Royal Navy avoided battle. The bravery of the Royal Navy is very well-shown in the movie as well as their crucial role in the success of the evacuation. The film also correctly shows how the Royal Navy commandeered civilian ships for use in the operation to rescue the members of the British Expeditionary Force. This was necessary because not even the powerful Royal Navy had enough suitable ships to land at Dunkirk. Most of the Royal Navy's ships were too large to approach the beaches. If they had tried, they would have run aground. This led them to commandeer every suitable private ship, these became known as the ‘Little Boats’ of Dunkirk. Many private individuals sailed to what was effectively a battle-zone. In the movie Mr Dawson, played by Mark Rylance is ordered to give his boat to the Royal Navy. He agrees to this request but only if he can sail it himself to Dunkirk. This was common during the operation at Dunkirk and a small armada of private boats, including yachts and fishing boats helped to evacuate many soldiers from the beaches of Dunkirk and saved them from capture or possible death at the hands of the Germans. One of the most significant inaccuracies of the movie is that it overstates the role of the ‘Little Ships of Dunkirk.’ The role of the private ships in Operation Dynamo was overstated at the time and has been since. This does not discount the bravery of the civilian sailors who ferried troops back from Dunkirk. Historians has proven that only one in twenty of the soldiers rescued at Dunkirk was taken onboard one of the ‘Little Ships’. The clear majority of those saved from the Germans on the French beaches were taken to safety by the Royal Navy. Nolan’s movie does overstate the role of the ‘Little Ships.' Still, it makes sense why Nolan would want to focus on this part of the Dunkirk evacuation because it is an incredibly compelling story that civilians risked their lives to save their countrymen and allies. The movie shows the evacuation as a great success and this is factually correct. The British had been taken aback by the collapse of France and they had no plans to evacuate their troops. They had to improvise to save the British Expeditionary Force and their allies. In the planning stages of the evacuation they Royal Navy had believed that they could only save about one tenth of the men, approximately 30,000. Thanks to the efforts of the Royal Navy, Merchant fleet and private ships some 300,000 men were taken back to Britain. This in effect meant that the core of the British army had been saved. The movie shows very accurately and how what was essentially a defeat was turned into a triumph. The movie has several characters, but none of them are based on historical figures. In reality, none of the British soldiers shown in the movie are based on real-life individuals. Not even the leading figures in the evacuation are portrayed in the motion picture. The best example of this is Kenneth Branagh's Commander Bolton. In Nolan’s movie, he is shown as one of the leading figures during the operation and key to the success of Operation Dynamo. In fact, there was no commander Bolton and he is a composite character. He is loosely based on several important Royal Navy figures who played crucial roles in the evacuation, such as Admiral Sir Bertram Ramsay, who oversaw the evacuation. Bolton's duties in the film include the role of pier master, who organizes the boarding soldiers onto the ships, but, this was all overseen by James Campbell Clouston. Nolan has been widely criticized for the creation of composite characters. In this sense, the movie is very inaccurate and it does not recognize the role of the many brave individuals who helped to save the British army. Granted, Nolan's approach gives Nolan more flexibility in the portrayal of these characters. He isn't bound by the confines of historical accuracy. The movie has been criticized for focusing too much on the British involvement. Dunkirk has a special place in British history and the success of Operation Dynamo helped to save the country from German invasion. However, while the British were the main protagonists in Operation Dynamo other countries were also involved. In fact, there were many nationalities who were also present at the fighting and the evacuation of Dunkirk. There were tens of thousands of French and Belgian soldiers who had retreated with the British to the area. They also wanted to be evacuated and they wanted to avoid capture by the Germans. Many of these wanted to escape to England to continue the fight for their nation’s freedom, none of the French and Belgium contingents at Dunkirk are shown. Thousands of French soldiers also sacrificed their lives in an effort to protect the British troops in Dunkirk. There are also no Canadians soldiers shown in the movie. There was also a sizable contingent of men from the Royal Canadian Army serving with the British Expeditionary Force. In Dunkirk all the servicemen in the film are white. This was not the case at the time, the British and the French had vast colonial Empires in Asia and Africa. The British has numerous Indian units and the French had several African units at Dunkirk. The film has caused some controversy in India as it failed the Indian soldiers who served alongside the British at Dunkirk or the numerous French colonial troops, mainly African, who were also present at the battle. Nolan should have shown the sacrifices of these troops along with the British. 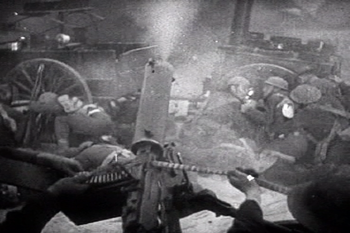 The movie is primarily focused on action and by and large it shows how the events that unfolded during Operation Dynamo. It also focuses on the courage of the participants and how the evacuation achieved the unthinkable and saved almost an entire army. Nolan’s movie also shows the importance of the RAF and the Royal Navy to the success of the evacuation. However, there are a few glaring inaccuracies. These include the fact that the Luftwaffe was not as effective as shown. It also never addressed why the Germans did not try to press their advantage at Dunkirk much more forcefully, but that is a fairly minor quibble. A significant inaccuracy was that none of the historical characters involved in Operation Dynamo are shown in the movies. However, Christopher Nolan was honest and did not claim to be making a historically accurate film. 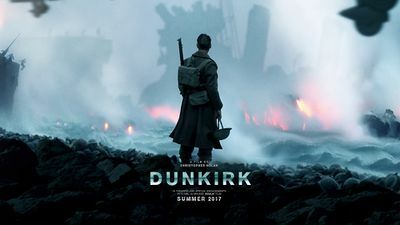 Instead, he wanted to provide a dramatized version of the events and wanted to give a new generation unfamiliar with WWII an insight into Dunkirk. The English director hoped to encourage moviegoers to investigate the history further themselves. 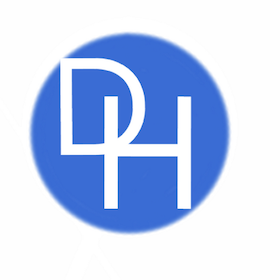 The movie Dunkirk is overall reliable with regard to the Battle and gives the viewer a good overview of Operation Dynamo but it is certainly not a documentary of what happened in May 1940.